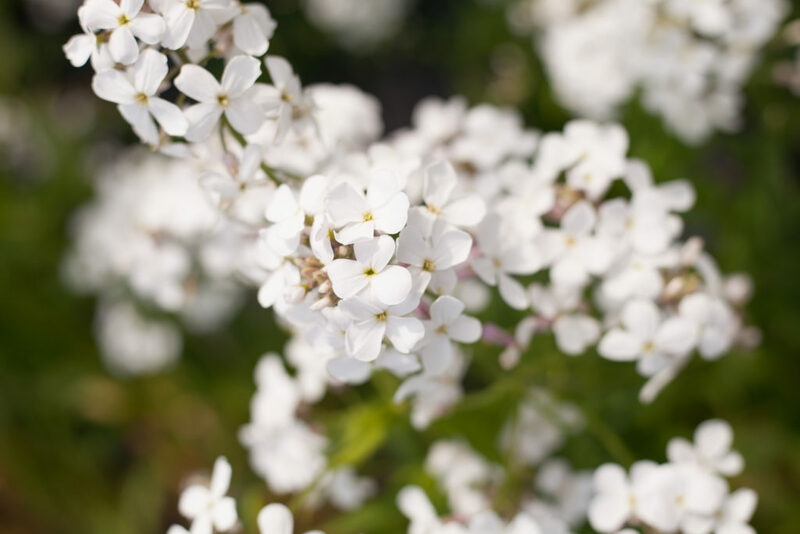 “Hesperis (sweet rocket) for me heralds the start of the English spring and summer. 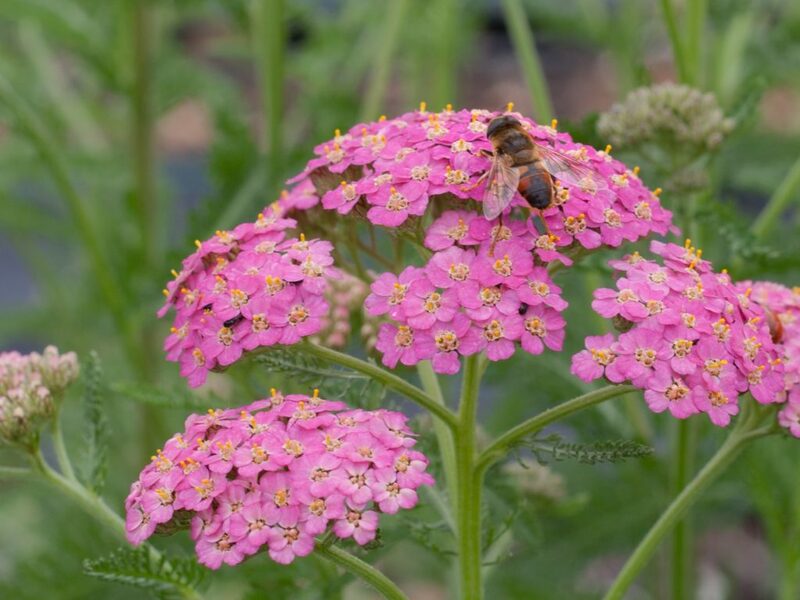 2018 has been a wonderful year for Hesperis – its light honeyed scent fills the air as we pick each morning,” says Rosebie, our founder and flower farmer. This year Hesperis came into flower in mid May and kept going through until mid June. “I’m often asked what my favourite flower is and for me it always has to be whatever is seasonal and looking at its best right now. In the run up to the Duke and Duchess of Sussex’s wedding, it was Lily of the Valley that took centre stage on our farm. It is small but perfectly formed, and with a scent like no other. 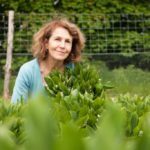 It was so wonderful to see Lily of the Valley, Sweet Peas and Hesperis used at the Royal Wedding alongside all the wonderful garden roses,” says Rosebie. Some spring flowers such as Lily of the Valley and Solomon’s Seal have a very short flowering season, which can be a logistical challenge for our small team. But the ephemerality of the experience does make the buds feel even more special when they appear. Our farm manager Rob and the rest of the team carefully plant and prune our roses to extend the flowering period for as long as possible. This year the cold start to spring meant our English roses were slightly later than usual, followed by the most glorious flush in time for British Flowers Week at the end of June. This year we’re having a monthly open day for florists to visit our farm. The farm was buzzing with bees and in full bloom for our latest tour during British Flowers Week. If you are a florist and would like to come to visit us, you can find the dates here. 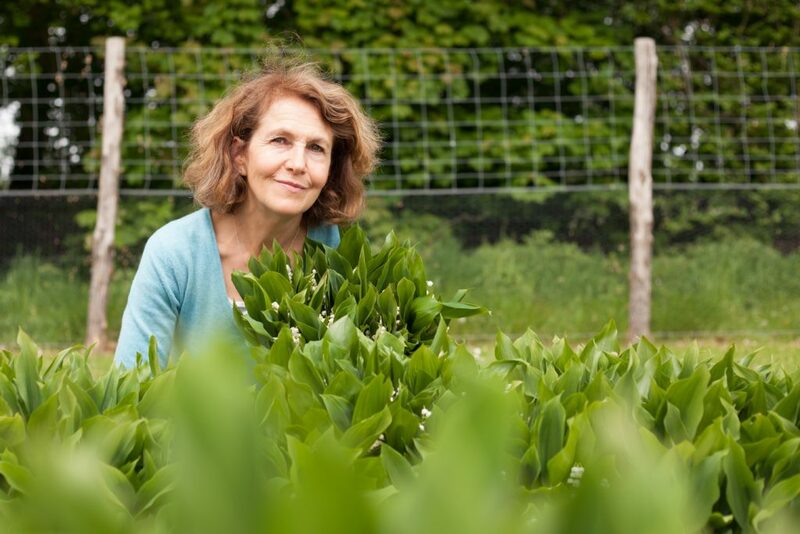 If you are not a florist and are interested in visiting you can join us for one of Rosebie’s courses – you’ll find the details here. 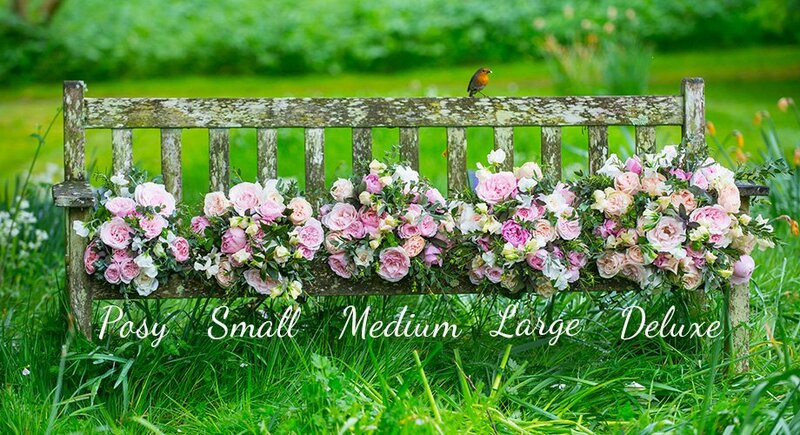 Only a small number of roses meet our strict standards for quality as a cut flower – the criteria include scent, colour, shape and vase life. This season we’ve introduced a new true pink rose, Pink Martini, to our English farm and have launched seven new varieties on our Kenyan sister farm: David Austin’s Constance (a two-toned soft pink), Belle Romantica (large pale pink flowers), Alabaster (pristine white), Paco Rabanne (apricot with an eye-catching high centre), Moonstone Gem (clusters of soft cream roses with a blush tint), Julietta (a peachy pink stray rose) and Delice Romantica (creamy white). If you are a florist and would like to find out more, you can drop our trade team an email at trade@realflowers.co.uk. You’ll be seeing these wonderful new roses in our bouquets for nationwide next day UK delivery and on display in our Chelsea Green London florist over the next few months. 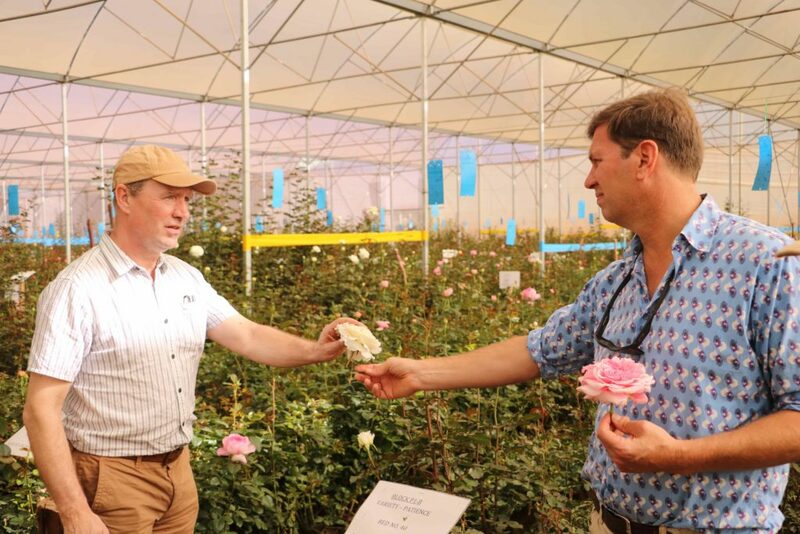 This year we were pleased to welcome David Austin to our sister farm in Kenya. Our Kenyan farm operates to the highest possible environmental and social standards. 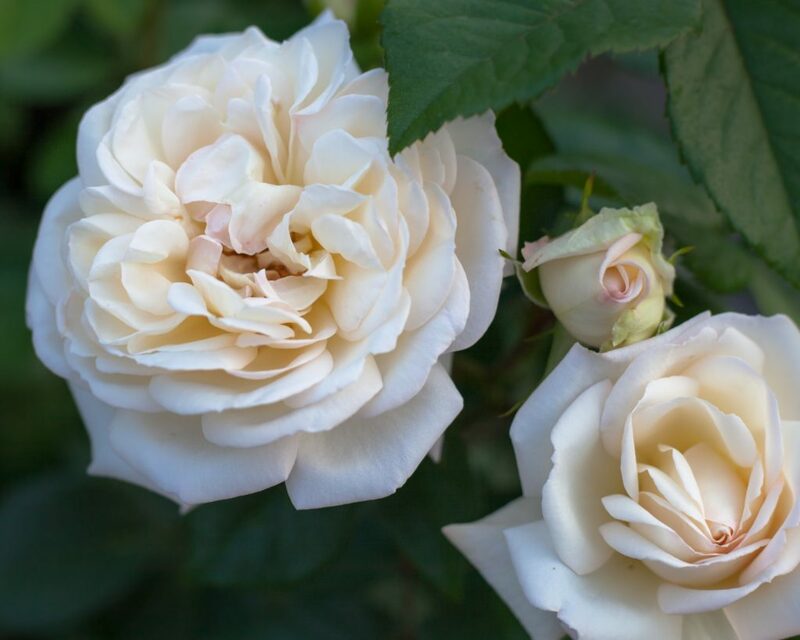 Its location, close to the Equator and at the foothills of Mount Kenya, provides the perfect year-round natural growing conditions for roses. 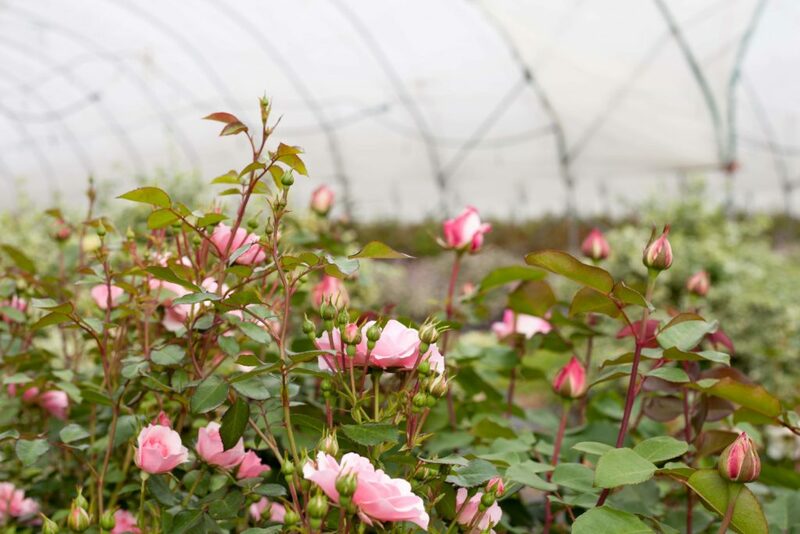 Our Kenyan sister farm is one of only a tiny number of authorised David Austin cut stem growers and we are so proud to be David Austin’s UK cut stem supplier. David Austin reviewed the new roses we are trialling and visited our new high-altitude farm in the Timau region. David was impressed with the farm and gave us feedback that the roses were outstanding, so we want to say a huge ‘well done’ to the team. 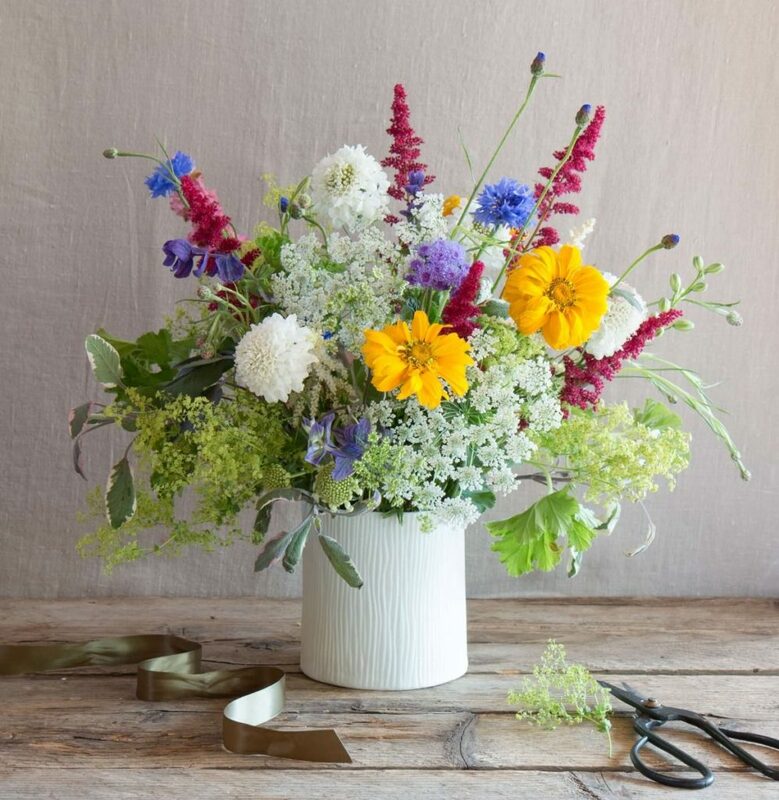 To celebrate the British summer, we’ve launched the British Flowers Club. A very limited number of subscribers will be treated to a regular bunch of wild and meadow flowers throughout the summer. Rob, our farm manager, will select the very best of what’s in season that day to be included – you can find out more here. The idea was inspired by our popular mixed Florist’s boxes, which offer a selection of flowers, herbs or foliage that is at its most glorious the day the box is prepared. This summer you can also find us back at a select number of London Farmers Markets. We’ll be at West Hampstead, Notting Hill and Pimlico each Saturday and Marylebone and Queen’s Park each Sunday. Can’t make it to the London markets? Don’t worry – our London flower shop is open Monday to Saturday each week and can deliver within a few hours to any London address. You can also order online for next day nationwide delivery. You can discover our English collection here.